For this week’s Throwback Thursday we’re taking a look back at Ultimate Dubs 2016 – an event Meguiar’s is proud to have supported for many years as its continued to expand and grow. What makes it such an awesome event to attend? Well Ultimate Dubs is often regarded as the first ‘proper’ modified car show of the year, with VAG fans keen to showcase both new projects and winter rebuilds in front of the largest audience possible. What’s more, with Ultimate Dubs taking over the Telford International Centre it means there’s no fear of torrential rain or freezing temperatures – something us Brits always have to factor in with any car show! Back in 2016 it was Laura Godtschalk’s immaculate Mk1 Cabby taking centre stage on the Meguiar’s stand followed by the Forge Motorsport ‘Berg Cup’ Mk1 Golf and Alex Hurd’s slammed BMW 3-series from Rollhard. Stanced, concourse and race cars, what’s not to love? With 2017’s show just around the corner, Meguiar’s will once again showcase our massive range of car cleaning products including our all-new Mirror Bright range. 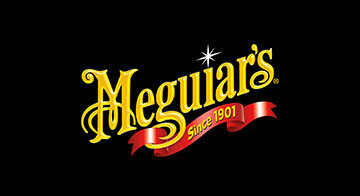 Expect to see some VERY cool cars on the Meguiar’s stand this year which we’ll be announcing very shortly.